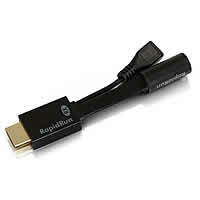 Rapid Run Flying Leads for HDMI or DVI-D connections. You simply snap a lead on each end of your matching cable and your connected! Each complete RapidRun Optical solution requires a break-away flying lead or wall plate to terminate each end of the runner cable. Each runner requires (2) break-away flying leads OR (1) wall plate and (1) break-away flying lead. 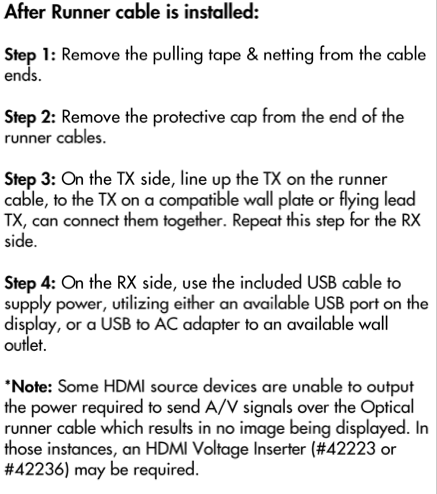 Note: Some HDMI source devices are unable to output the power required to send A/V signals over the Optical runner cable which results in no image being displayed. 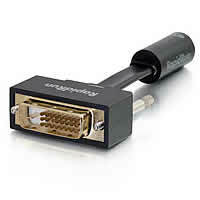 In those instances, an HDMI Voltage Inserter (42223 or 42236) may be required. Each complete RapidRun Optical solution requires a break-away flying lead or wall plate to terminate each end of the runner cable. 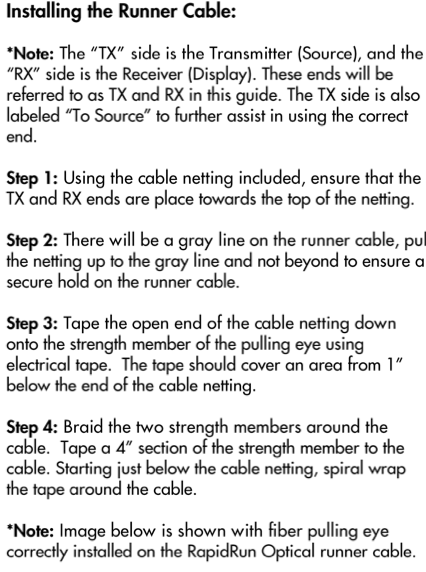 Each runner requires (2) break-away flying leads OR (1) wall plate and (1) break-away flying lead. When an accessory demands more current than the source can supply, the system may fail to operate dependably. Insufficient power may manifest as a flashing image (HDCP problem), distorted video (EDID related issues), or even a complete loss of the image (hot plug assertion failure) Maintaining the proper voltages in the HDMI System is critical to the hardware “handshake”, HDCP key authentication and exchange, EDID information exchange and hot plug connection detect. 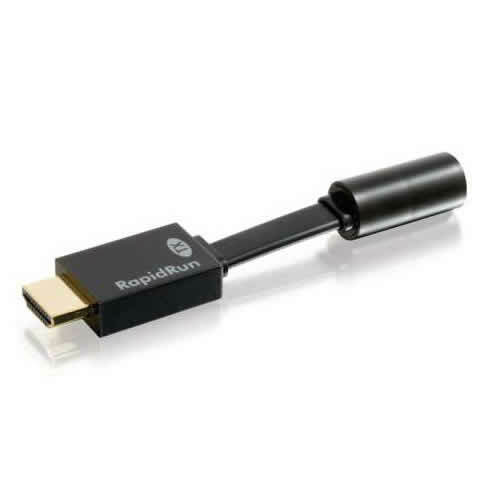 • Connect the voltage inserter directly to the HDMI output port of the source device. 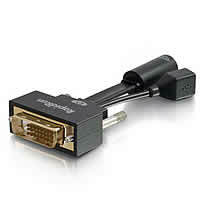 • Connect a HDMI cable from the HDMI output of the voltage inserter to the HDMI input of the display or other HDMI device. 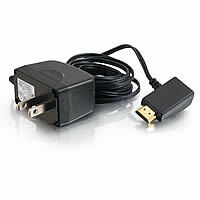 • Connect the AC adapter of the voltage inserter to an available power outlet. This voltage inserter isolates the power from the source device and provides a full 5 volts and up to 500mA of clean, dedicated power to support HDMI switching, splitting and extension accessories. If an installation leverages active cables with embedded chipsets, embedded electronic-to-optical media conversion, signal-sensing auto-switching or similar devices, then this power inserter will be a critical performance element. 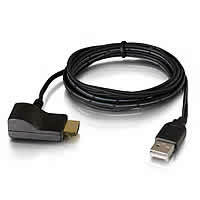 • Connect the USB cable from the Voltage Inserter to an available USB port.